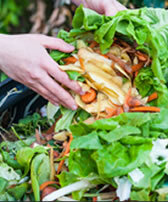 Bokashi Composting Australia is committed to providing an excellent standard of personlised customer service. We are always happy to answer any questions on our composting systems, whether you are a customer, a potential customer or just interested in the composting options available. Our order process is quick and efficient, orders are dispatched daily from our Sydney office. We offer a 30 day no hassle returns and a 2 year guarantee on all Bokashi One and EnsoPet products. We pride ourselves on our amazing after sales support, if you ever have any questions or feedback we are always pleased to hear from you.